ASTOR PLATE! A new food and beverage kiosk created by Perry Mallas serving healthy Mediterranean-styled comfort food, coffee and beverages- all organic and locally sourced wherever possible. Astor Plate is also bringing MUD Coffee back to Astor Place; the iconic favorite beverage of the Astor Place community! 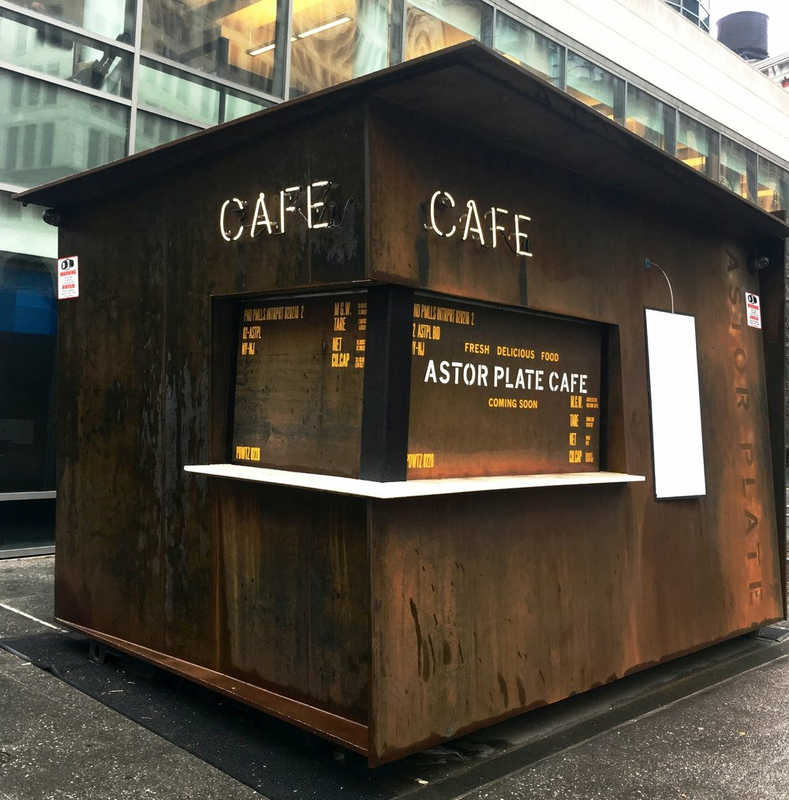 Although the famous MUD Truck is now retired, MUD coffee will once again be a part of Astor Place and they're personally training the Astor Plate staff in the art of creating MUD coffee and espresso drinks! To design and create the kiosk Perry has collaborated with the same creative team at Patrick Nash Design that designed and built Flatiron Green and Benvenuto Café. Visually, the kiosk references the neighborhood’s artistic character and reflects the design profile of Tony Rosenthal’s iconic “Alamo” sculpture, which turns 50 this year. The raw steel finishes and bold geometric forms of Astor Plate will create a natural and inviting ambiance, appropriate for this quintessentially urban environment. There remains a few finishing touches before we open for business. Stay tuned in the coming weeks for news and updates.